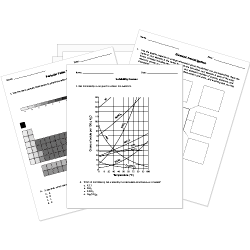 You can create printable tests and worksheets from these Analytical Methods questions! Select one or more questions using the checkboxes above each question. Then click the add selected questions to a test button before moving to another page. A solution of NaOH (aq) has a concentration of 0.790 M. How many significant figures is the concentration of this solution expressed to? A test for oxygen can be performed with . Which test is used to indicate the presence of [math]CO_2[/math]? Fractional distillation is a process that uses the boiling points of substance to separate a complex mixture into its parts. The pop test is used to indicate the presence of which gas? The process of collecting a vaporized substance is . Distillation is a very effective way of isolating from seawater. How can a mixture of two substances with similar boiling points and densities but different particle sizes be separated? What method could I use to separate a compound? When crude oil is heated and passed through a fractionating column, the different fractions separate out according to their . The process in which a solution of known concentration is used to determine the concentration of another solution is called . In gravimetric analysis, which of the following steps has to be carried out after the "drying" of the precipitate? During a titration process, the point at which a certain color persists is known as the point. Which chemical would NOT be Hazardous? What is the [math]lambda_max[/math] value of acetic acid when spectroscopic analysis is carried out using ethyl alcohol as the solvent? Spectroscopy is the study of the interaction of matter with electromagnetic radiation .